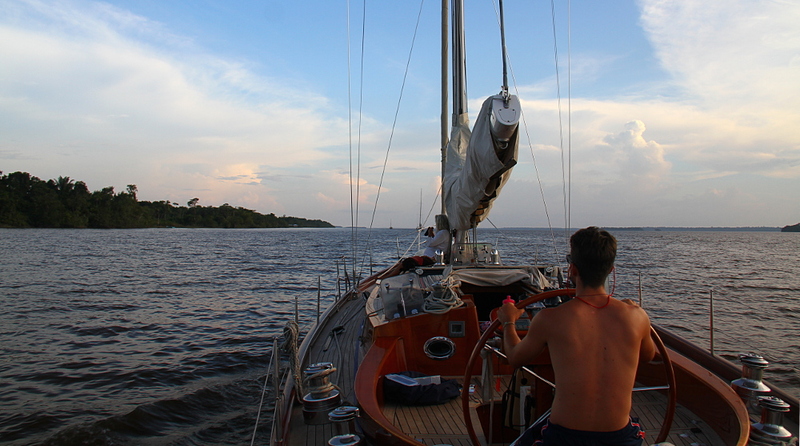 The second leg to French Guiana. Leaving Hurakabra on the 16th of September with the ebb, the Nereid’s Rally participants made their way to the jump off point at Roiden Rust Marina by moonlight. All but one yacht had a trouble free passage. Lion King managed to do the stragglers (Eileen included), the courtesy of collecting all the fishing nets barring the route down-river. 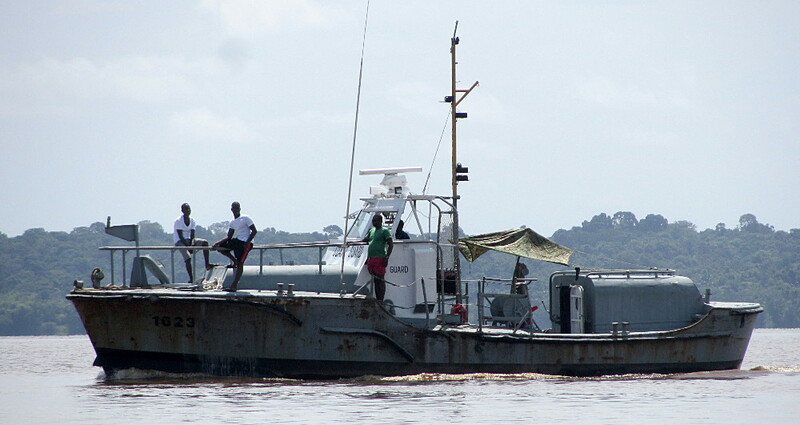 The Guyanese Coast Guard kept a close watch over the Rally. Luckily the coast guard was at hand to tow the stricken yacht to the safety of the anchorage off Roed en Rust. Mr Cleo Da Silva runs what is perhaps the closest thing Guyana has to a leisure marina here, hauling out small vessels on trailers from a slip. Our sincerest thanks to him and his staff for assisting Lion King and ensuring the timely continuation of the rally. This entry was posted in Nereid's Rally by admin. Bookmark the permalink.